← Could Pharmacy2U face disciplinary action for selling patient data? As reported last week on the Greater Manchester Chamber of Commerce website, Medical Specialists® Pharmacy have now gone mobile! The introduction of mobile device compatible Medical Specialists® website was an urgent requirement for patients across the globe after the pharmacy giant was bombarded with frustrated patients that were struggling to successfully place their orders using a mobile phone or tablet. Medical Specialists® are pleased to announce this struggle has now been taken away with the launch of the mobile site…although the launch didn’t exactly go without any hitches! Simply put, the extraordinary traffic increase as mobile users surged onto the website ended up actually crashing it! 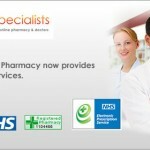 The pharmacy certainly predicted an increase in the number of patients logging onto the site using their mobile phone or tablets, but were left a little gobsmacked by the massive user volume increase that resulted in their servers being overloaded and crashing to a temporarily standstill within just 8 hours of officially going live. 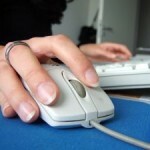 Fortunately, the pharmacy’s IT department were swift to act, liaising with the server host to dramatically boost the server capacity, in addition to improving the maximum broadband speed, enabling patients to now have a trouble-free experience when accessing and browsing around the website. Obviously a website crash isn’t ideal for an online pharmacy of Medical Specialists® Pharmacy’s stature, but does reiterate a point they mentioned last week, that the modern day hectic lifestyle is causing an increasing number of people to now access the internet whilst on the go with their mobile devices and carrying out purchases on these, as opposed to sitting down at a computer. Therefore, it seems to be an absolute must for any modern-day business that operates a website and has aspirations of growth, to also have a functioning mobile-friendly version of the website or risk losing out on a massive potential customer base. Medical Specialists® used to be in contact with a high number of patients on a daily basis that had no other option than to telephone their ordering department to place an order for treatments ranging from asthma inhalers to hair loss, patients that had actually either tried and given up, or were simply unable to do the order with their mobile device. 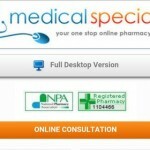 Therefore something needed to be done to cater for those on the go and using their phone or tablet to place an order, and the pharmacy’s only regret now is that it wasn’t implemented much sooner as the momentary website crash demonstrates there was an incredibly large demographic out there who’s needs weren’t being met. 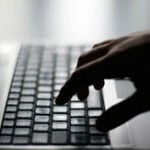 Medical Specialists seem to have gone from strength to strength, changing and improving as they have gone along, for the last 14 years on the internet. They are now one of Manchester great success stories, and we hope to hear a lot more from them in the future. 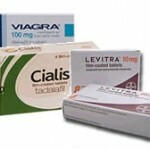 February 23, 2012 -- Viagra Sales Soar in lead up to Valentine’s Day! This entry was posted in General Health News and tagged medical specialists pharmacy, MSC mobile site. Bookmark the permalink.